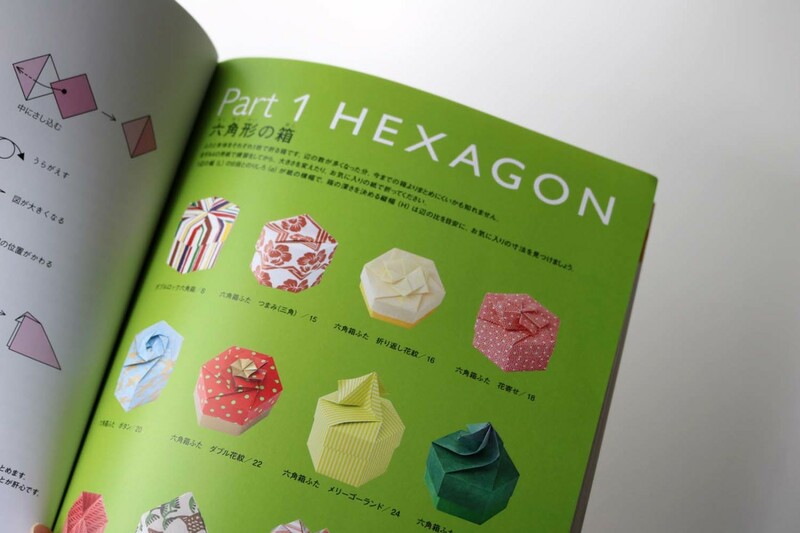 The book is unfortunately no longer available. 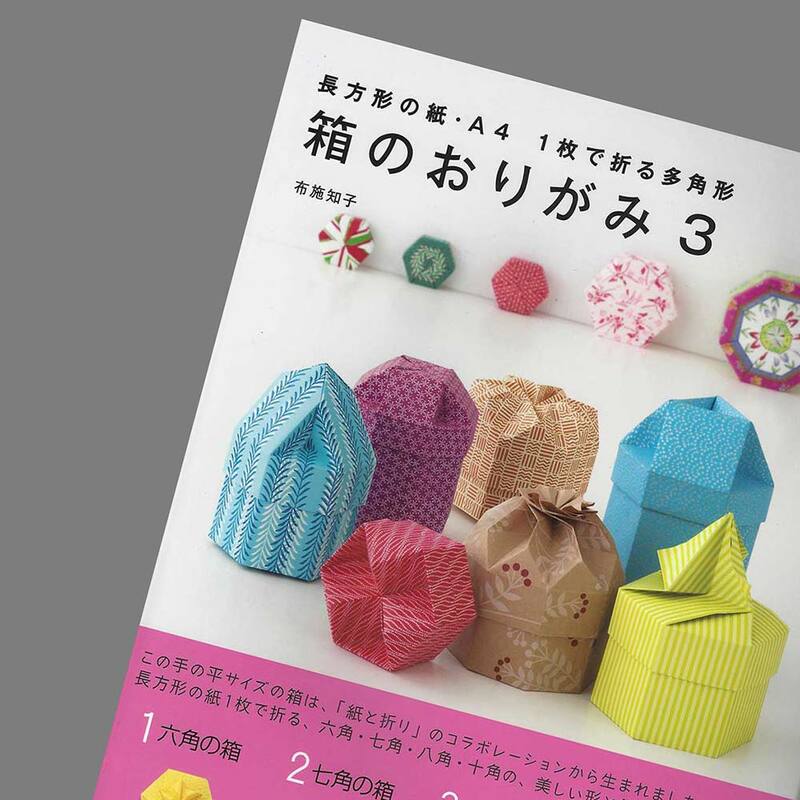 It will not be republished. 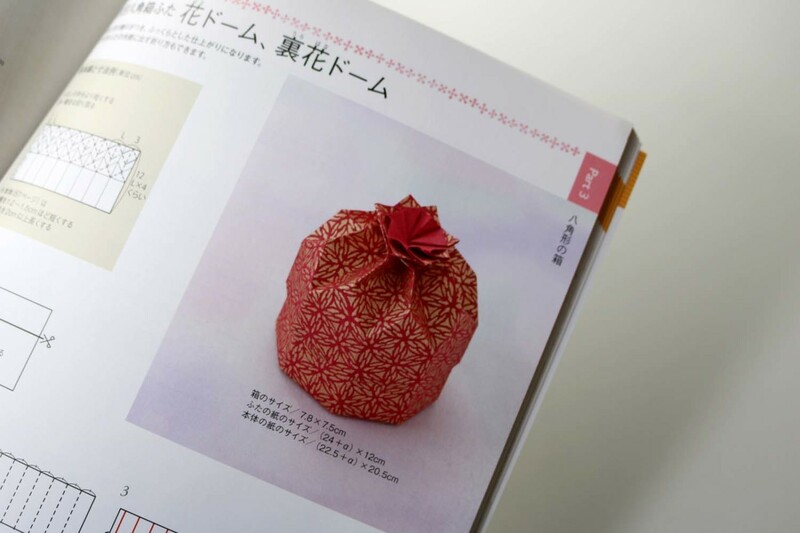 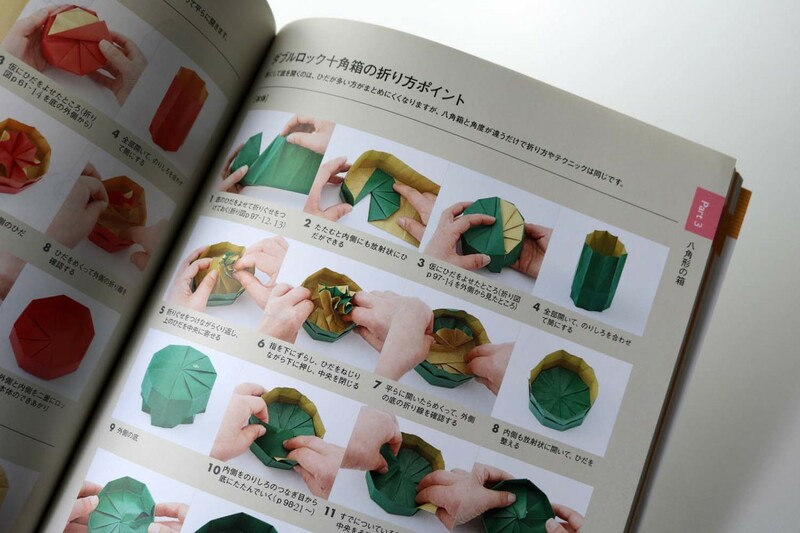 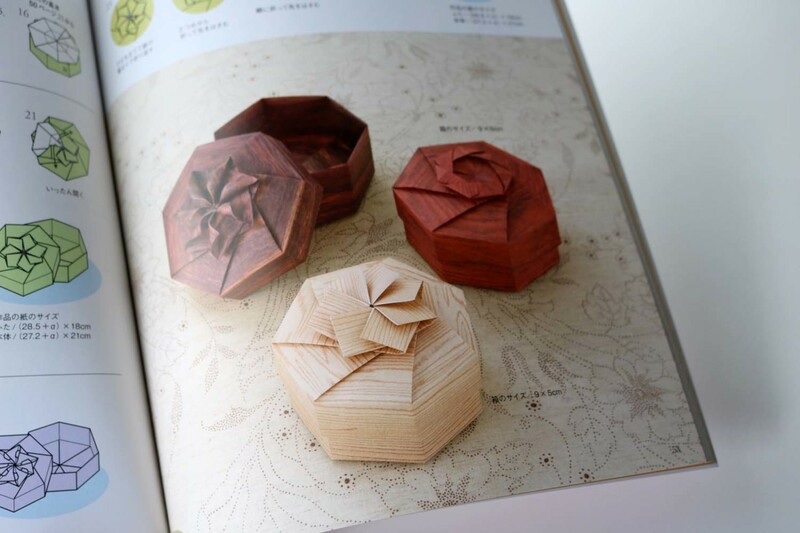 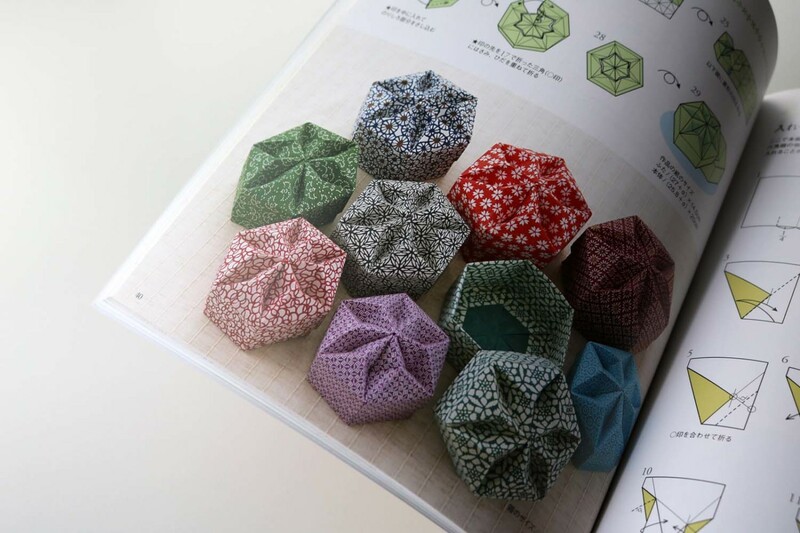 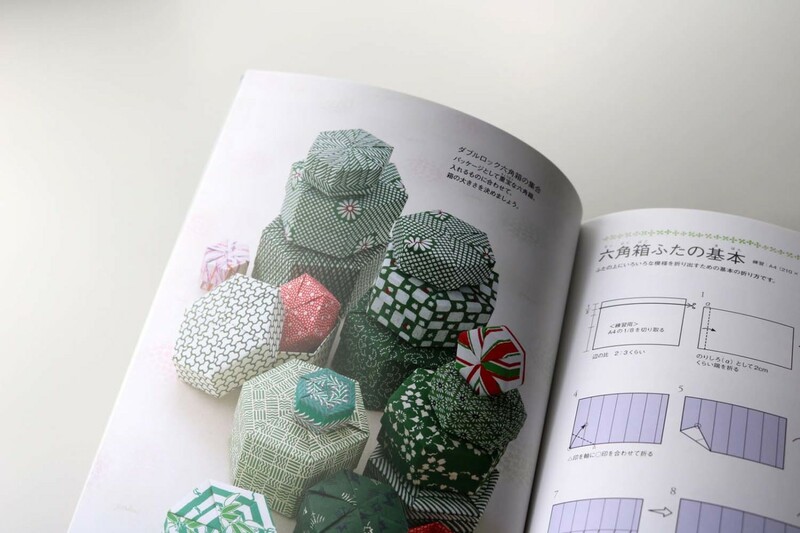 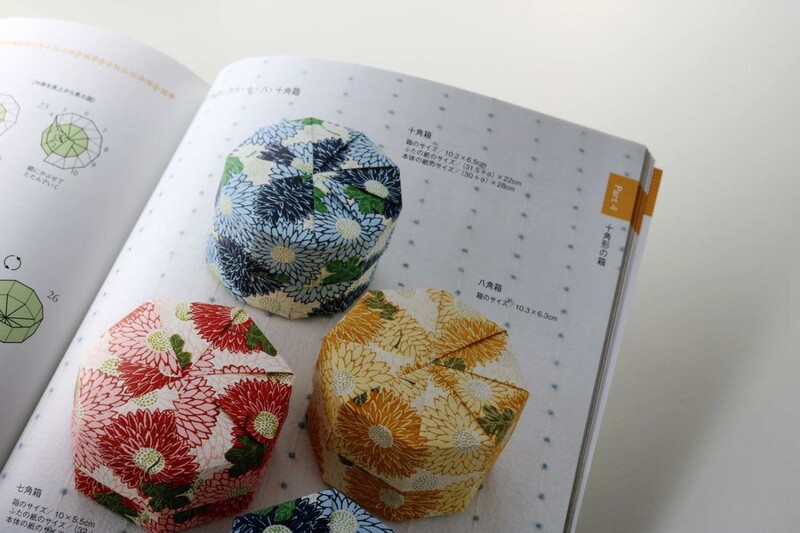 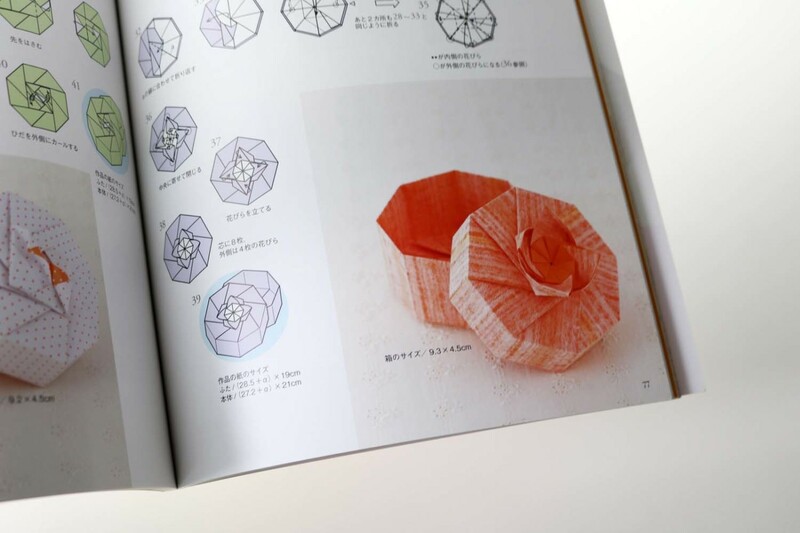 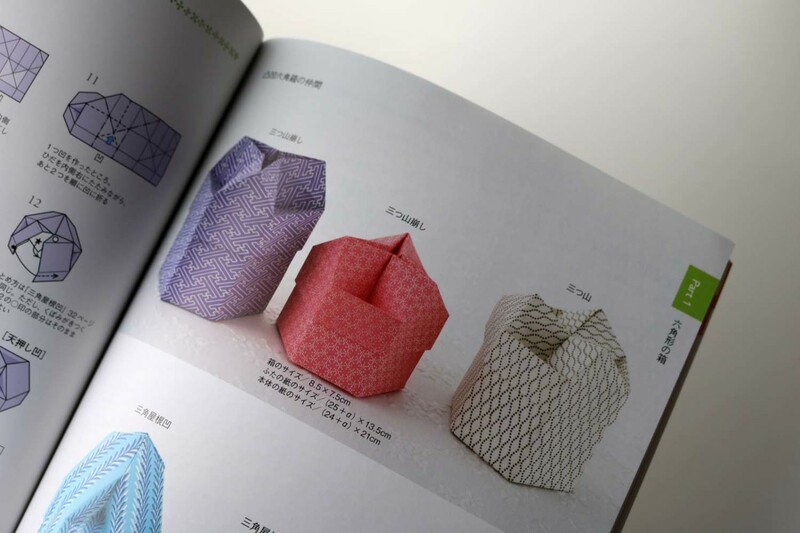 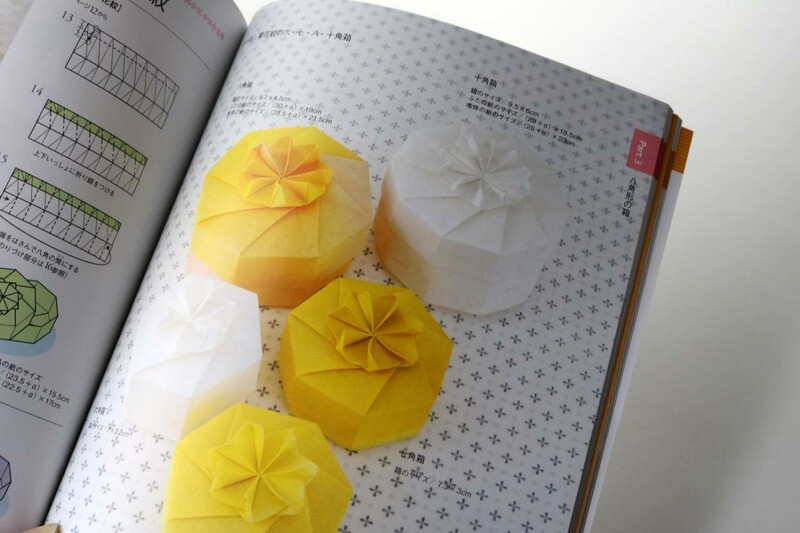 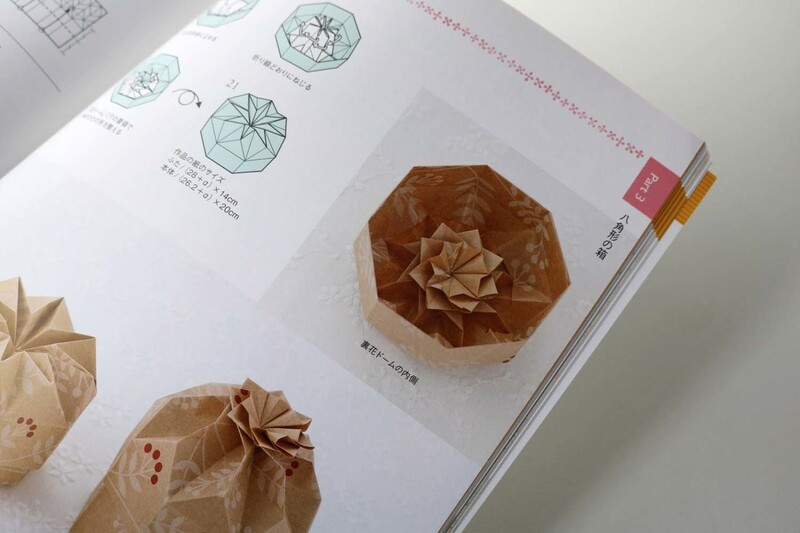 The boxes that Tomoko Fuse presents in this book are all folded from a single piece of paper. 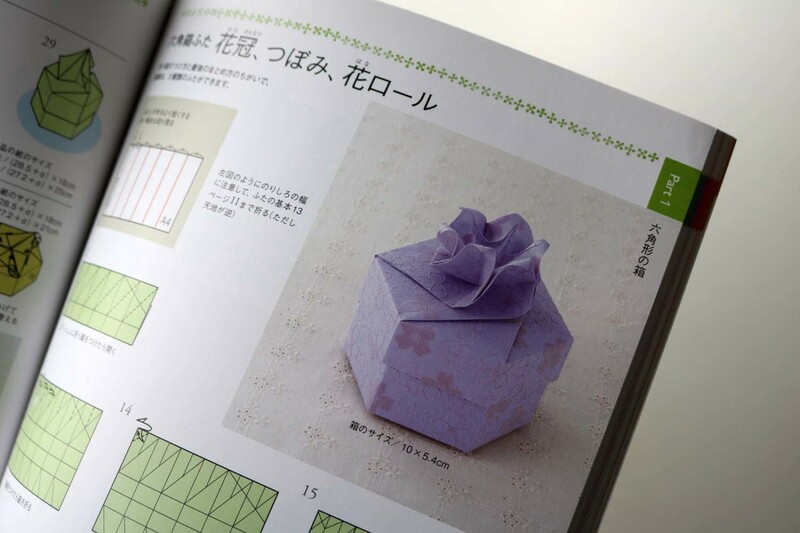 The paper size is always rectangular, mostly A4. 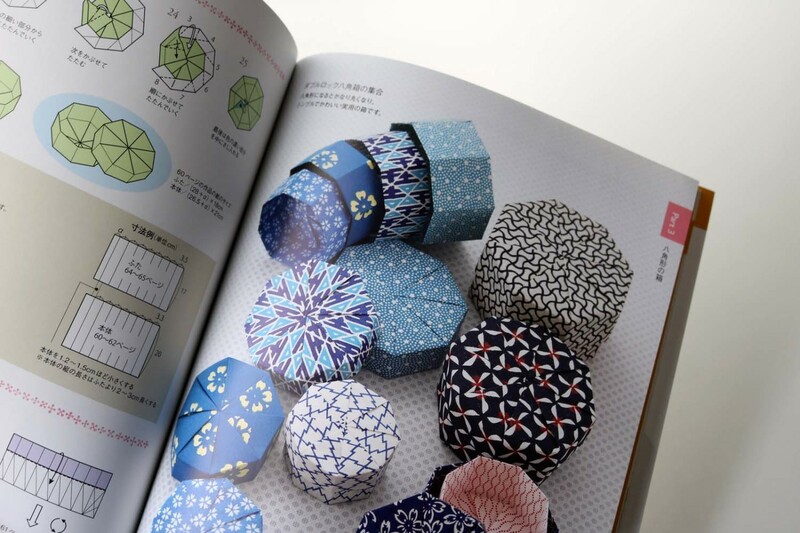 Twelve 6-cornered, seven 7-cornered, eighteen 8-cornered and nine 12-cornered models are presented. 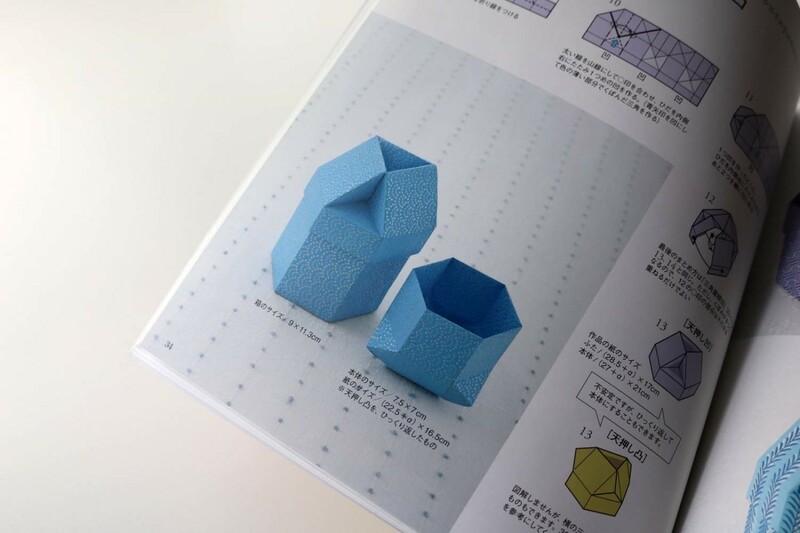 The individual folding steps are not difficult, but they require high precision, otherwise the models won’t close properly in the end. 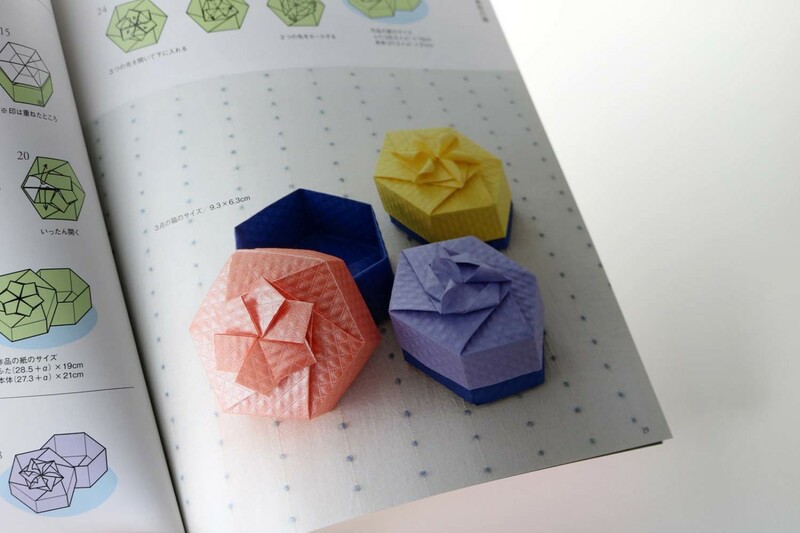 A tip: practice in advance with an unpatterned paper, where you can see better the precreases and get more familiar with the folding process. 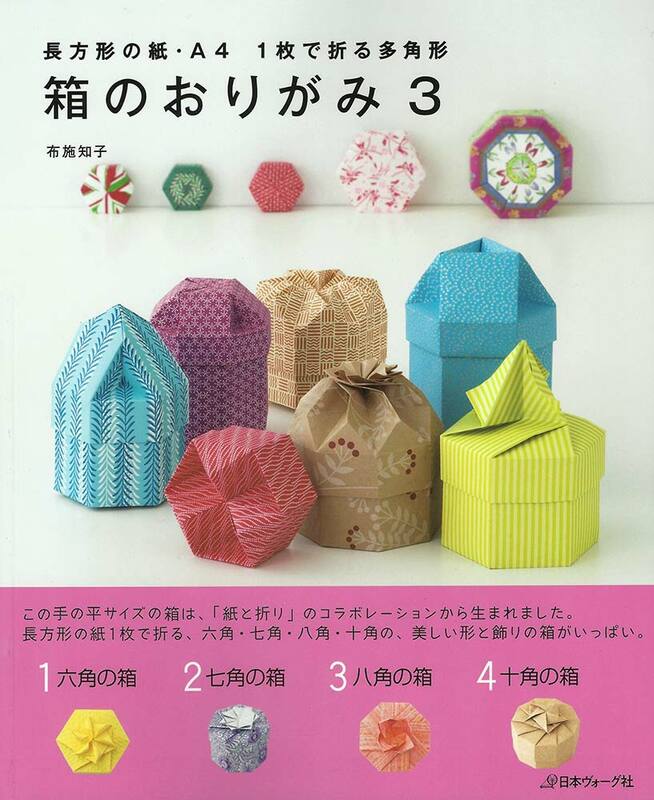 The result is definitely worth the effort: every box is a little gem.